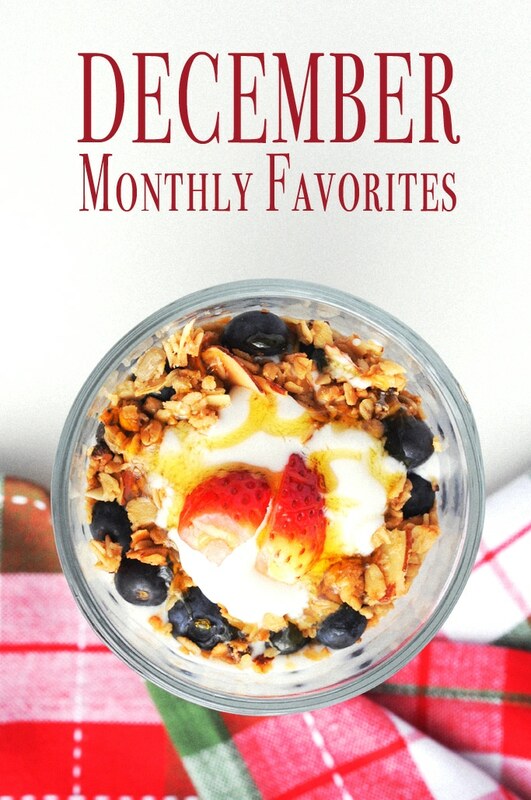 My December monthly favorites is a morning breakfast or afternoon snack that is dairy free. 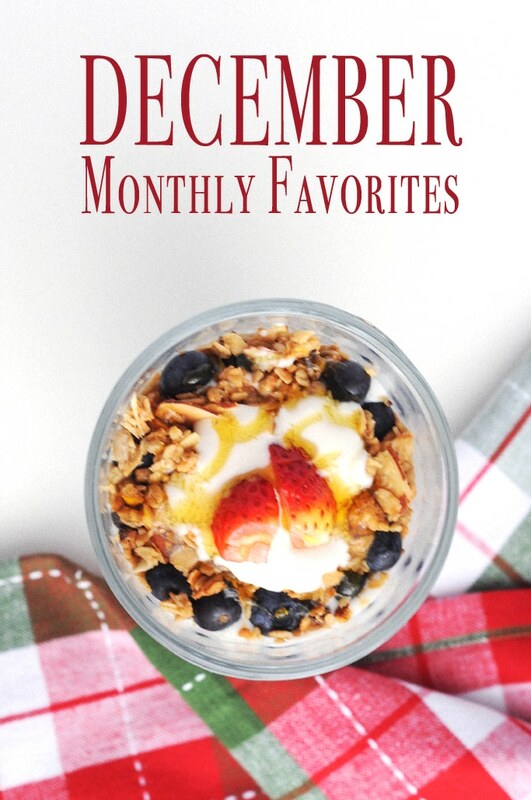 I decided to start a series on my favorite food finds at the grocery store, starting with December Monthly Favorites. I’ve had so many people ask me, “what do I buy?” or “do you make everything homemade?” And no I do not make everything homemade but I do buy some really good taste food. How would I have time to search for the perfect bite if I was in the kitchen all day. 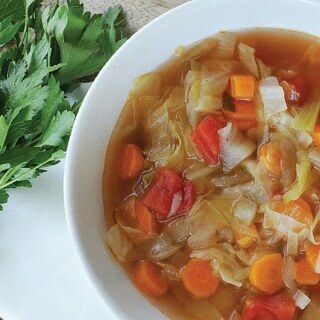 So every month I will share with you my favorite foods that I have found. Now keep in mind I love to try different things and most of the time, I try to find something I can snack on during the day or pack in my backpack for lunch while I’m out and about. The month of December was busy making sweets but I found a couple of things that were super delicious in the middle of my holiday shopping. I could not help myself but pick it up to give it a little taste for an afternoon snack. Like I needed anything else, while I was stuffing myself with the cookies I was making! 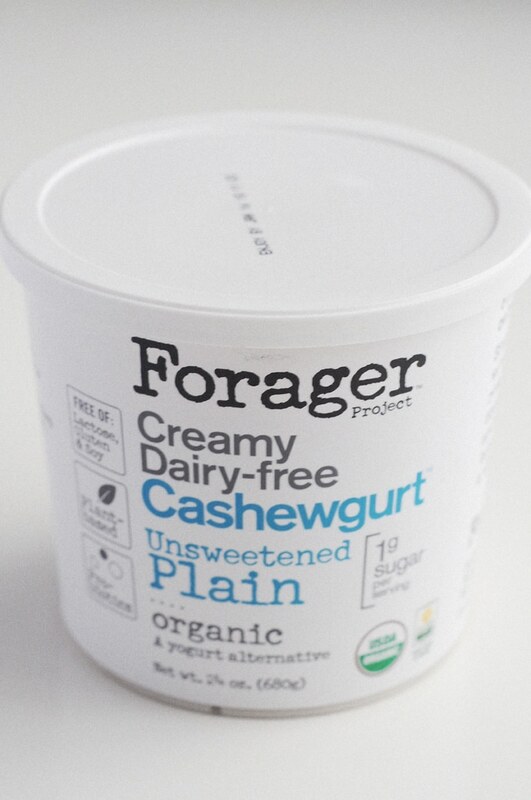 The first thing I food was cashew yogurt ready made by Forager. It’s the Creamy Dairy-free Cashewgurt Unsweetened Plain. Wow, can I say! It’s creamy and swirly just like a yogurt should be and for someone that does not do dairy this sure is a treat. So many times I tried different brands that were horrible, that I felt like me and yogurt would never meet again. But then I found Cashewgurt, and it’s the highlight of my month, finally I was able to mix a little fruit with granola again! My search for the perfect dairy free yogurt was complete. It was now time for some granola, which I make all the time but not in the middle Christmas cookies season. I just didn’t have the time. 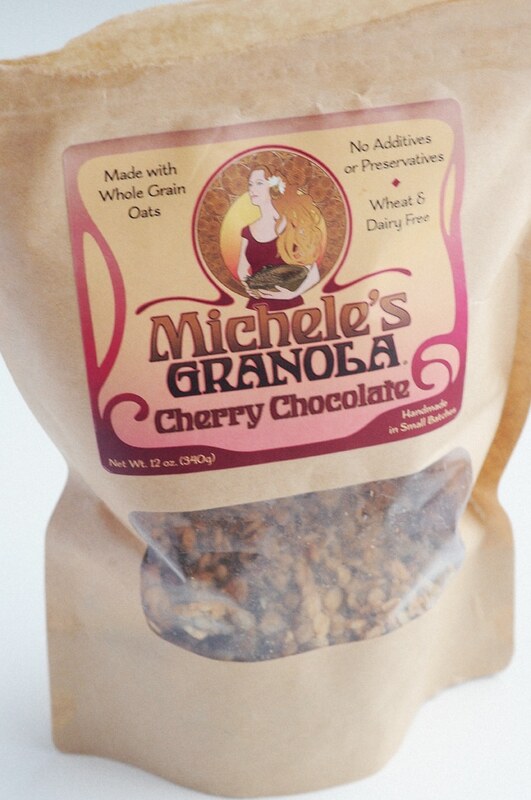 So I went looking for my favorite granola which is none other then, Michele’s Granola-Cherry Chocolate. It’s not to sweet, with clumps of granola stuck together and the perfect amount of Cherry Chocolate that is not overwhelming. That is what I love in a granola and cherry and chocolate are the perfect combination together. 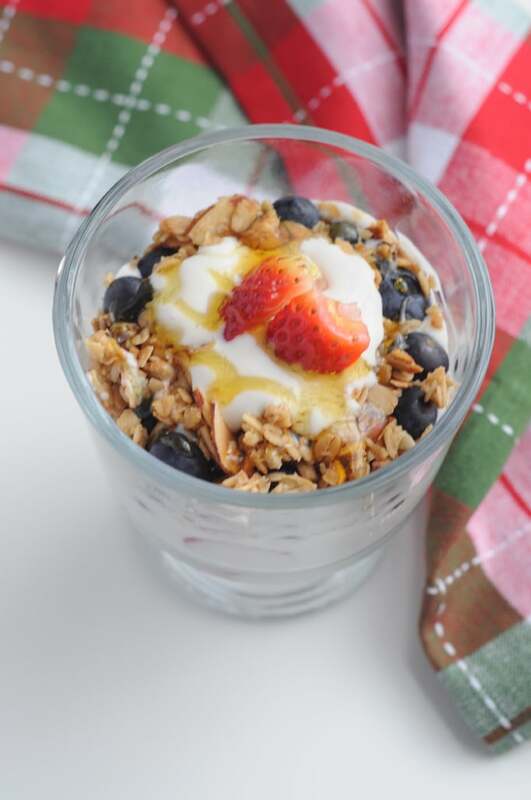 I use to build my yogurt parfait that I love to make for an afternoon snack or breakfast to start the day. The only other thing needed is fresh fruit and a little honey to top it off. This is NOT a sponsored post. As always, thank you for reading and for supporting companies I partner with, which allows me to create more unique content and recipes for you. All opinions are my own. 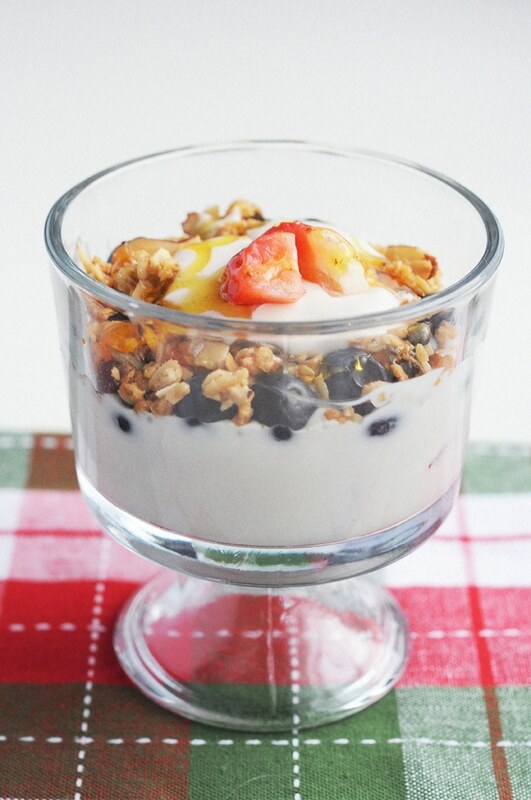 A morning breakfast or afternoon snack that is dairy free. 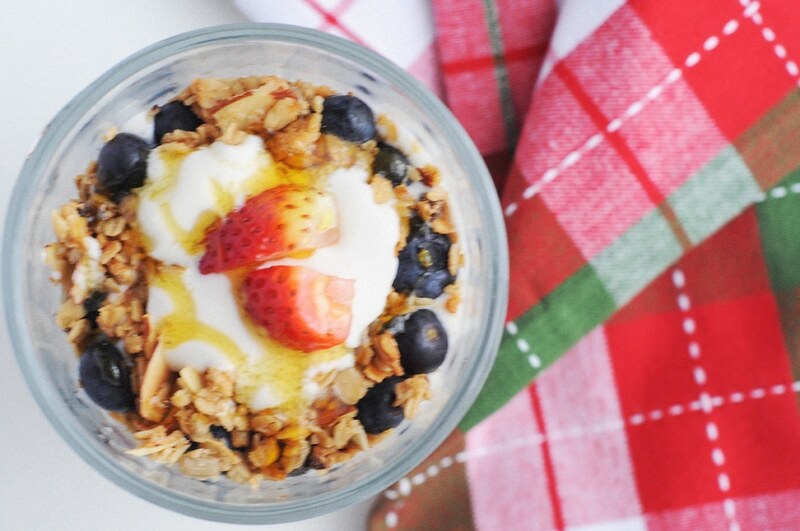 Serve parfaits Michele's Granola-Cherry with a little honey on top.